Is there anything easier to wear in the summer than a striped maxi dress? I spent my 4th of July at the shore in Sea Isle City, NJ. 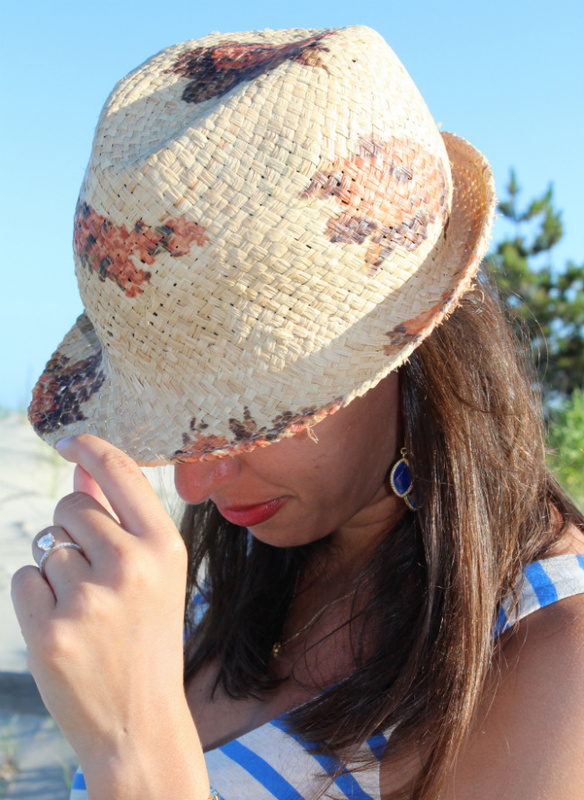 If you were to have a peek inside my suitcase, you would see maxi dresses galore, a few statement jewels and a fedora. My summer style is super easy and laid back. This Anthropologie Striped Empire day dress is my current favorite. I love that the length works without having to have it altered and that its fitted at the natural waist. 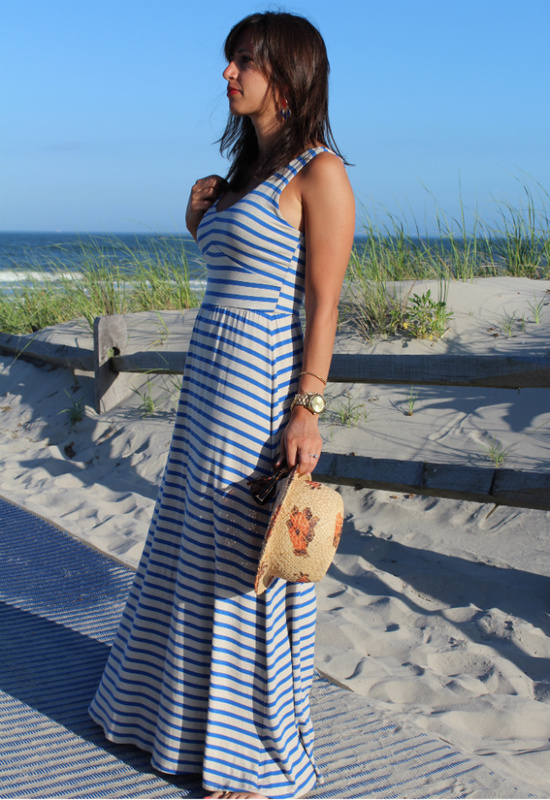 This maxi can easily transition from a walk on the beach to cocktails or even to lounging on the couch. Its crazy versatile. 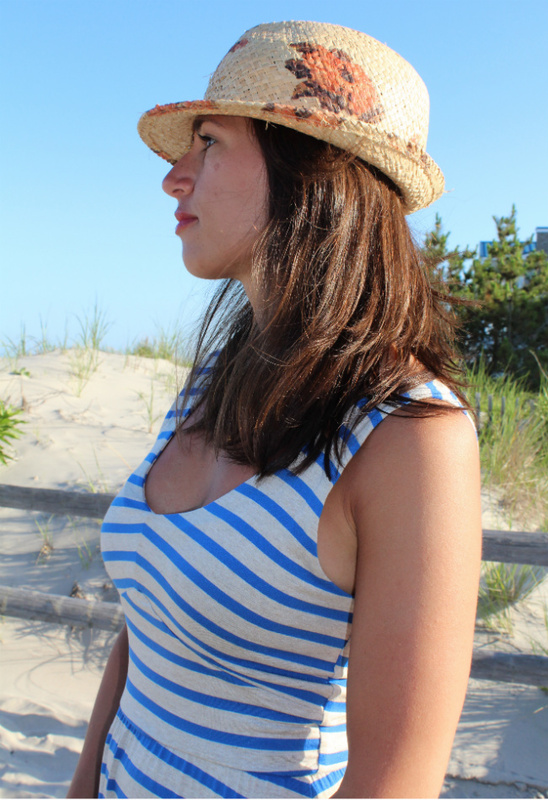 No maxi dress could be complete without a fedora or straw hat for a summer beach stroll. 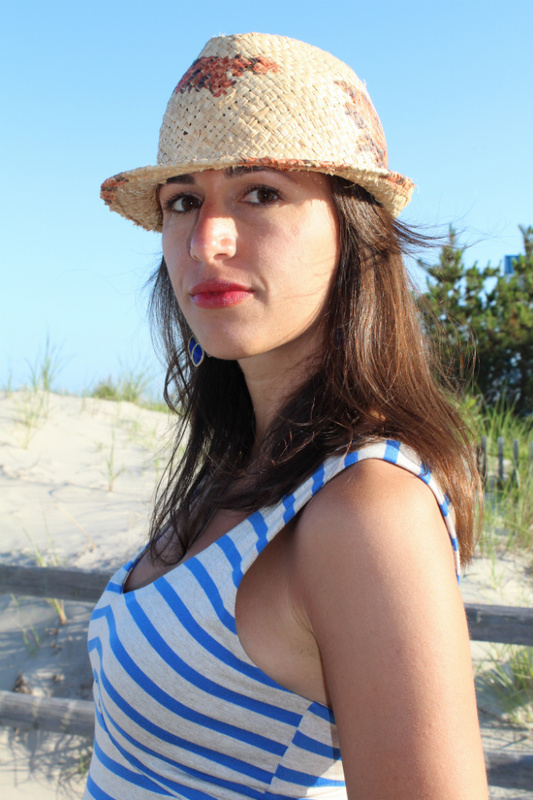 Mine is from a few years back, but I love the Midway Fedora ($20!) and the Bop Basics Fine Braid Fedora. Can you ever have too many striped maxi dresses? Shop the Stripes + More! I just got back from a family vacation at the beach and seriously think I wore a maxi dress every single day. They are so easy to just throw on and go. I also love how they kind of hide your problem areas. I actually just bought a super cute striped Vince maxi while I was out of town! what a pretty maxi! Love the color combo + stripes, not to mention it looks more comfortable than anything I own!! Beautiful summer look on you. Cute! I've been eyeing that Market Striped Maxi as well... Just don't know if I can justify another maxi in my closet. Just wanted to let you know, Jacqueline from Stylin' in St. Louis, and I are starting a weekly link-up and it goes live this Thursday! Our first theme is stripes, and we would LOVE to have you come participate since this outfit is PERFECT for it :) take care, doll! Have a good week! You rock a maxi better than anyone I have ever met! Also you have about the best lips I have ever seen! SO Jealous!!!!!!!! Love this maxi dress! You look beautiful in it! Love your stripes! I love that dress! And the hat is the perfect finishing touch.